Planning to visit Malacca after reading my explanation about the Nyonya Baba people? The culture of the Nyonya Baba people can be experienced in Malacca. Having to say that, Malacca has more than just the Baba Nyonya culture to offer. Malacca (Malay: Melaka; Tamil: மலாக்கா, Chinese: 马六甲) is the historical state of Malaysia as mentioned before. This Southern state of Malaysia is arguably one of the most colonized cities in the world as it was one of the world’s major entrepôt in the 14th century. 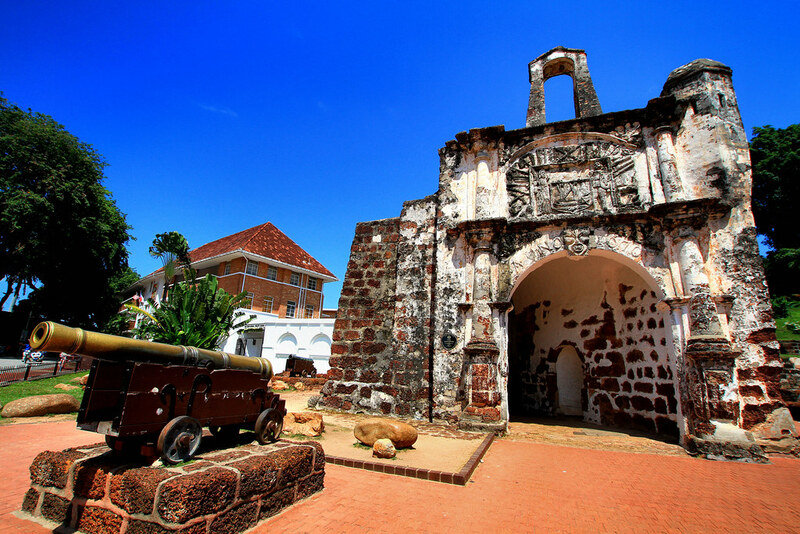 Malacca was colonized by the Portuguese, Dutch, English and Japanese from 1511-1945. Malacca stood back up strong post-colonization. Due to hundreds of years of colonization, Malacca was left behind with multinational architecture, cultures and ruins. In 1511, Malacca came under attack by the Portuguese army led by Alfonso De Albuquerque. The Dutch launched attacks on the Portuguese from 1606 and several times after for 4 decades. They finally defeated the Portuguese in 1641 with the help of Sultan of Johor to colonize Malacca. 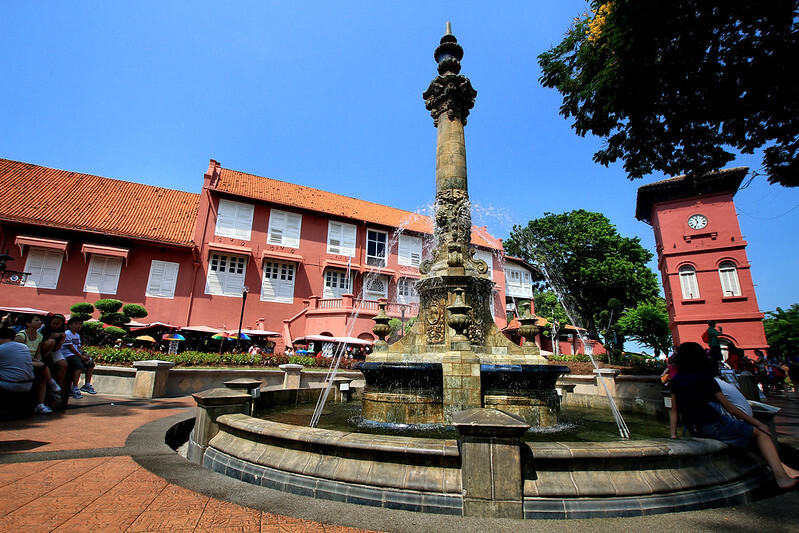 Though the Dutch did not focus on developing Malacca as the centre of trade, they did leave their footprints behind. The Dutch Square, Stadthuys and Christ Church are the most apparent marks left by the Dutch colony. These 3 attractions are known as the Red Square due to the colours of the buildings. The Stadthuys was built in 1650 to and act as the office of the Dutch Governor. It is now converted to the History and Ethnography Museum. The museum showcases Malacca’s history and lifestyle of Malayans from 1400-1957. It is open from 9am-5.30pm daily. The admission for local adults is RM5 and RM2 for children. Foreigners pay double the price. Christ Church is the oldest building left by the Dutch in Asia Pacific. Photo by Sharon Ang. 5-10 minutes walking distance away from the Dutch Square is St. Paul’s Hill. At the foot of the hill, you will find Fort A’Famosa. Fort A’Famosa was built by the Portuguese as a defence fortress. It is severely destructed by the Dutch. What is left behind now is just the entrance walls. You will only spend about 5 minutes here. You will find the stairway up to St Paul’s Hills right behind the entrance walls of Fort A’Famosa. Along the stairs, there will be small stalls selling souvenirs including drawings and tombstones of noble Dutch people. The below image shows another stairway to go up the St Paul’s Hill. You will see this entry on your left if you are walking from Stadhuys. This will be the first entrance to St Paul’s Hill that you will reach if you are walking from Stadhuys to A’ Famosa. Image from Flickr. At the top of St Paul’s Hill is St Paul’s Church. It was once the prayer house for the Portuguese Catholics. In the ruins of St Paul’s, you will find tombstones encrypted in Latin and Portuguese. St. Xavier was buried there in 1553 before his body was moved to Goa, India. If you do not want to go up Taming Sari, St Paul’s Hill offers you the best view of Malacca. Personally, I like going up to St Paul’s Hill late evening to enjoy the sunset and breeze. The Royal Malaysian Navy Museum in Malacca is a well-organized museum exhibiting from naval weapons to training programs and honorary medallions. My favourite part of the Navy Museum is the well-preserved weapons and transports used in the war. The only thing that is a bit of a turned off is the cleanliness of the ships and planes exhibited outside of the museum. Next to the Navy Museum (TLDM Museum) is the Maritime Museum. The Maritime Museum is built as a replica of ‘Flora De La Mar’. It is the replica of the Portuguese ship that sank into the Straits of Malacca on the way to Portugal. The actual Flora De La Mar was used to transport treasures that were seized in Malacca. Other than the Baba House that is being preserved in Penang, Malaysia, Nyonya Baba Museum on Heeren Street (Jalan Tun Tan Cheng Lock) is a gem to visit. It depicts the rich Peranakan family’s lifestyle. The exhibition includes antiques and family heirlooms. House of Museums is a rather new museum in Malacca. I have yet to visit this museum myself. However, when I do get back to Malacca, I am definitely visiting this museum. It is on my bucket list and it should be on yours too. The images that I have found on the internet in regards to this museum reminds me of my experience in the Old House Museum I have visited back in Jiufen, Taipei. House of Museums seems to exhibit items from the 50s’. An amazing range of antique collection from clocks, old photographs to charcoal stoves. Note: Last entry is 45 minutes before closing. According to Wikipedia, Sri Poyatha Moorthi Temple is the oldest Hindu temple in Malaysia and one of the oldest functioning Hindu temples in Maritime Southeast Asia. Located in the state of Malacca, the temple is one of the few existing Chitty temples in Malaysia. This old temple was built in 1781 on the plot of land that was given by the Dutch. The temple is located on Jalan Tukang Emas where the literal translation of the street name will be Goldsmith Street. In its close proximity to this Hindu Temple are the oldest Chinese temple and an old mosque that goes by the name Kampung Kling Mosque. Thus, this street is also known as Harmony Street. This is a great place for photography! Enough said, check out the photos that my bestie and I took during our visit a day before I left for Chiang Mai. Drive 2 minutes from the Malacca Sand Dunes will be the rest of Klebang Beach. You will find one of Malacca’s famous coconut milkshake there for RM3.00 (approx. 0.85 USD). My suggestion is to get the coconut milkshake and head off to the sand dunes to enjoy the sunset while taking photos. Best to leave immediately after sunset as it gets really dark and difficult to find when your car is parked. There are no street lights by the sand dunes. Here it is! This well is most probably the only evidence of this Princess Hang Li Poh’s existence in Malacca. Truth is that this well was the main water source for residents in Bukit Cina in the 15th century but it is now just a wishing well. However, there are explanations placed around the place on how the well was built. The full history in fact! The best time to visit this well and Bukit Cina is nearing sunrise. Put on your jogging shoe and head out for a 2.6km jog. Chinese Hill is an old Chinese cemetery and housing area that is well-maintained thanks to the local community. Once you reach the top of the hill, you will enjoy the sunrise and 360-degree view of Malacca town. Jonker Street is definitely the busiest street in Malacca thanks to its weekend night markets. This night market street is crowded but it will entertain you. Personally, I always bring my friends who have never been to Malacca to Jonker to buy their souvenirs as many of the times there are handmade. Prices are reasonable and there is a wide range of food along the road. Visitors will also be walking between 2 rows of Peranakan architecture. Another reason I personally love Jonker Street is the culture. There is a karaoke stage where the elderly will go on stage to showcase their vocals and dance moves. Next to the karaoke stage is also a corner lot shophouse that is filled with line dancers. For me, it is extremely entertaining to see elderly people enjoy their active lifestyle. 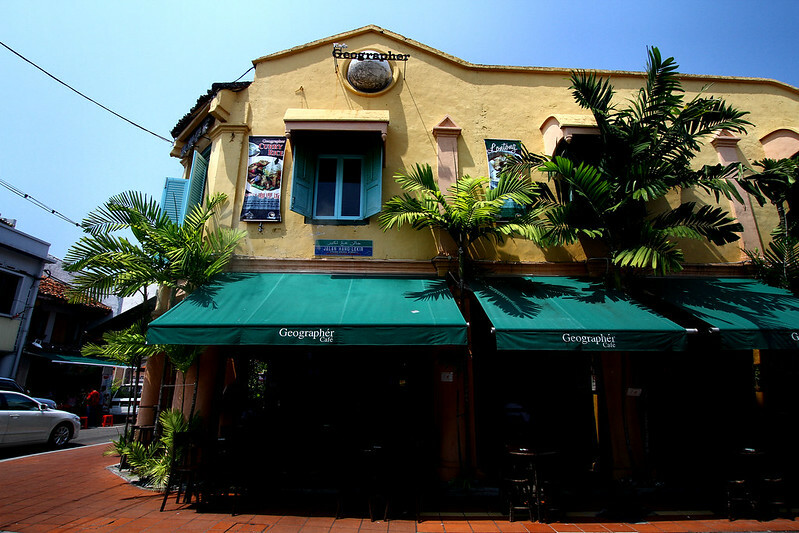 One of the best pubs to visit in Jonker is the Geographer. If you would like to be out of the hustle and bustle of the street, do visit the pubs by the riverside. It is a good place to relax and unwind after a busy day walking around town. This is the temple that I visit every time I am back in Malacca. Cheng Hoon Teng is the name of the temple in Hokkien dialect (青云诗, Qing Yun Shi) and it means “Green lotus blooms on the Buddhist land while the rain from the cloud nourishes all living things”. It is the oldest functional Chinese temple in Malaysia. that consists of the teachings of Confucianism, Taoism and Buddhism. Its architecture is truly amazing. The construction and reconstruction of the temple was made with traditional Chinese style that resonates the Forbidden city in Beijing, China. Not even a single nail was used during its construction and that remains true today. 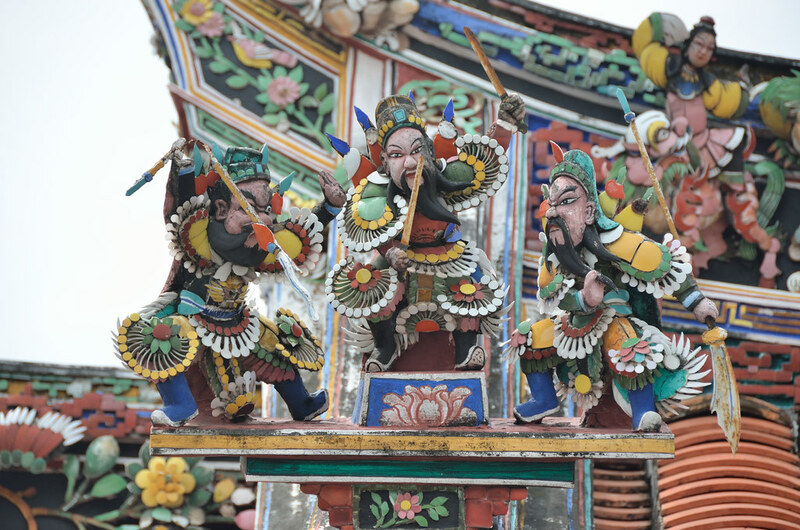 Image from Flickr showing the beautiful architecture of Cheng Hoon Teng.